Amazing place, wonderful staff that did everything they could to assist us with everything we needed. The pool and breakfast were spot on and the apartments are beautifully decorated and spotless. You want to stay here!!! The loveliest place. Beautiful apt surrounding big and spacious swimming pool, which our kids enjoyed a lot. Nice satisfying breakfast next to the pool. The apt has all the facilities needed including a big kitchen. Everything is in good taste and very easy and relaxing atmosphere. Maria and the staff were very kind and helpful. Close walk to a nice beach with water sport, and a tavern. About 15 min walk to the old port. Will definitely come back again. Exceptional service, hospitality and cleanliness!!! Nice pool area and at least the villa was nice - not luxurious. Good with kids. If one wants to be between a beach and old port restaurants, the location is perfect. It is quite a walk to Dapia (new port) and during busy hours it seemed to better to pre-book a taxi or a horse carriage. We had a great week staying at Villa Nika with out 5-year old daughter. Nice apartment, friendly staff, great breakfast with fresh fruit salad and good coffee, great pool - everything was perfect! The location is also really good, near the old harbour with loads of nice restaurants and only a few minutes walk to the beach. People of Villa Nika were very kind and welcome! The property was great with different breakfast each day! 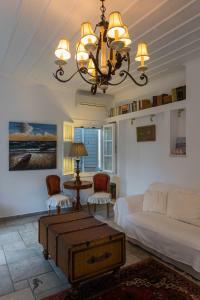 Also the location was Sumer comfy, just 2 minutes from Agia Marian beach! I would definitely go there next time!! The owners were lovely and very helpful. A delicious breakfast was served every morning. 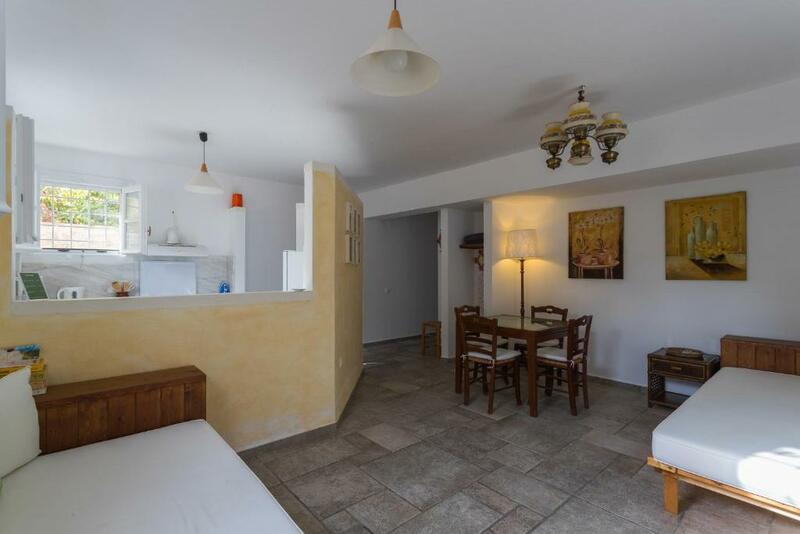 Beautiful swimming pool and big spacious apartment not far from the old port where all the best restaurants are located. Would stay there again. 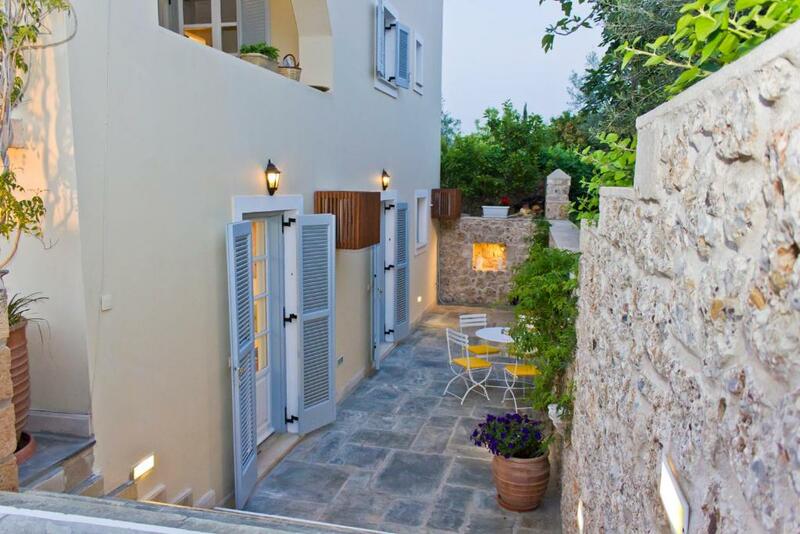 Lock in a great price for Villa Nika – rated 9.4 by recent guests! 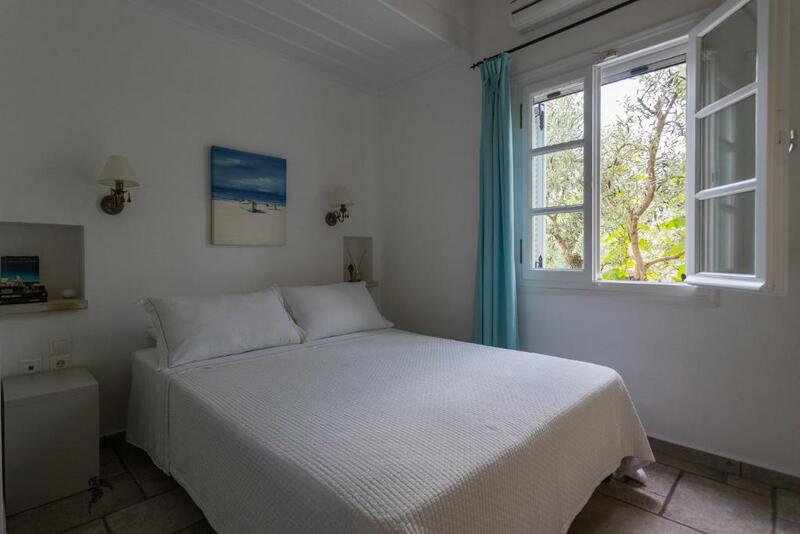 One of our top picks in Spetses.Villa Nika is a complex of luxurious suites and apartments conveniently located in Agia Marina, within 650 feet from the beach and within a five-minute walk from the old port of Spetses. 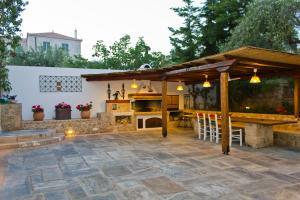 When would you like to stay at Villa Nika? Please note that the Suite rate is based on 3 guests. One additional guest can be accommodated on an extra sofa bed. Please see Hotel Policies for extra charges. Please note that this room type cannot accommodate any extra sofas beds. This apartment is located on a sunny basement with yard and offers direct access to the BBQ area. Please note that the Apartment rate is based on 2 guests. 2 additional guests can be accommodated on 2 sofa beds. Villa Nika is a boutique hotel, situated in the region Agia Marina in the green island of Spetses. Its distance from organized beach, taverns and super market is 2 minutes walk. Villa Nika is new built, with environmentally friendly materials. 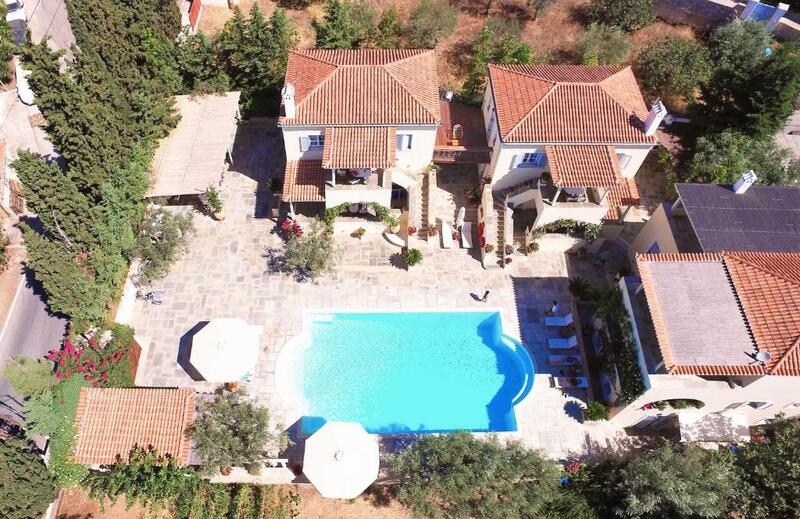 It has a big garden and a big swimming pool of high standards, equipped with hydro massage. It is an ideal place for relaxation, for families, for couples and small group. 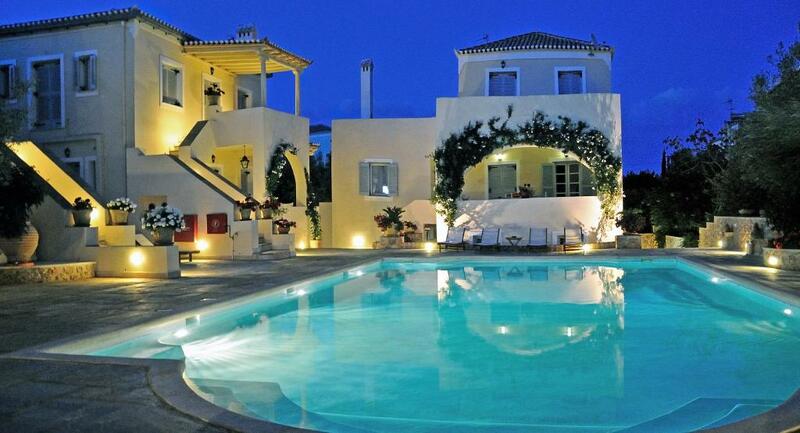 Spetses island is located in the Saronic gulf and separated by a small strip from Peloponnese. Activities of the island include Hiking walking, swimming, cycling, and water sports of Agia Marina's beach. Approximately seven minutes by feet is the old port with restaurants bar, and nightlife. House Rules Villa Nika takes special requests – add in the next step! Villa Nika accepts these cards and reserves the right to temporarily hold an amount prior to arrival. Please note that between 8/3/2019 and 11/3/2019 and between 22/3/2019 and 25/3/2019, a breakfast basket will be provided in the room. Breakfast so poor, nobody there to greet us , I was wondering around looking for someone, only filter coffee and very bad indeed. We ordered two cappuccinos which were charged 3 euros each!!! and we honestly didn’t mind paying for them as much as having to drink them.... The room was freezing when we arrived , they should have opened the heating before our arrival. It was a huge, super clean apartment . 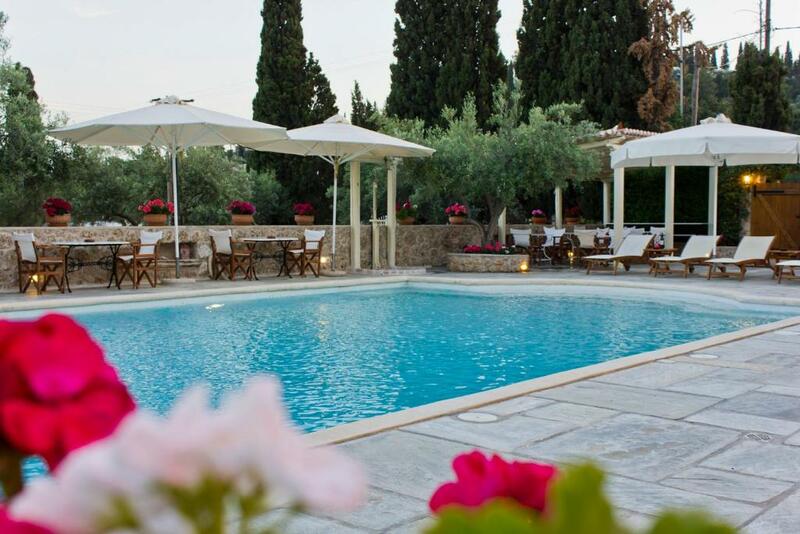 The pool area and garden were sparkling clean and the man who owns the property was very kind as well. The woman although polite very snobbish. The bed mattress was a little soft and lumpy . I would have preferred the pool to not close between the hours of 2-5 pm ( opens again 5 p.m -9p.m) . I also would have appreciated tea and coffee being provided in the room and a box of tissues. The pool was great. The decor was very nice throughout the property - very restful and pretty. Each suite has a nice balcony and well equipped kitchen. Nice breakfast with some traditional food included and daily variety. Very close to a beach and a restaurant and shop very close by. Very pleasant and helpful hosts. Staff, some of them, seemed quite bored and fed-up with their job - to the extend that we didn’t want to order e.g. any drinks or coffee to avoid being in contact with them... Breakfast was again OK, but nothing special. Such a lovely place with nice apartments, a great pool, nice breakfast and super lovely and helpful owners and staff. Great location close to a beach and the old harbor. Would go back any day! WiFi was an issue and didn’t work well in the apartment. The apartment was spacious and had a lovely outdoor seating area overlooking the large swimming pool. Villa Nika is located within a few blocks of the Old Harbour which has lots of restaurants and taverns. We spent several evenings relaxing at the outdoor seating areas overlooking the marina and enjoyed excellent dinners. Of our 10 days spent in Greece, our stay at Villa Nika was one of our favorite memories. Loved the decor, cleanliness and pool.